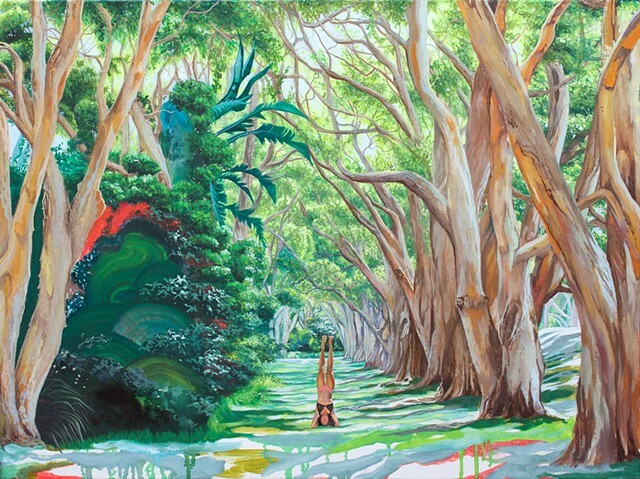 Although this painting is primarily landscape I consider it to be a portrait of my friend, Anna, in Centennial Park, Sydney. Throughout the work I push and pull the boundary between realism and abstraction, highlighting the layers and complexity of identity and place. I acknowledge the Traditional Custodians of the land throughout Australia, and recognise their continuing connection to land, water and community. I pay respect to Elders past, present and emerging.